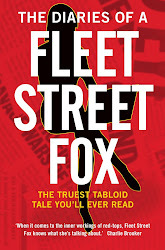 fleet street fox: Benefit (n.): Something advantageous. WE all know the reason we are broke is the poor people. At least, that's what we've been told for three years now. If everyone worked rather than shirked we'd all be on eight holidays a year and final salary pensions, so the fact that the economy's flatter than Gwyneth Paltrow's arse cheeks must be down to the squidging effect of a great number of benefit cheats, scroungers and loungers squatting upon it like a stoned hippy at St Paul's. And it's not just them. It's also the people who are working who can't be fagged to work a bit harder. It's the part-timers, the people who disappear to pick up their children, those who are content to half-heartedly earn a low income as a taxi driver, pest control officer, farmer, trainee or other plebby occupations safe in the knowledge the state will come along to bump it up with tax credits. Well, even if it's not their fault per se they're certainly not doing anything to make us rich again. They cost us a lot while achieving the square root of treading water, and if they can't swim like the big sharks, it's kinder to let 'em drown. Big sharks like, for example, the international corporations which negotiate entirely-legal deals with the taxman not to pay much tax. Killer whales similar to the big four accountancy firms whose staff not only advise the Treasury on tax law and second staff to work in the private offices of MPs and ministers formulating tax policy, but then go on to advise clients on how to avoid tax. Great krill-suckers such as those operating a massively flawed, corrupt and semi-criminal banking system which bet money it didn't have on things which didn't exist, all of whom avoided arrest for what appears to be blatant fraud, and then got bailed out with someone else's money to the tune of £1.1trillion of which they still owe 40 per cent at an interest rate of zero. If only the poor were more like them, eh? Imagine how rich we'd be. So today the government is going to teach the poor a lesson by taking away all the benefits which make them lazy, fat Jeremy Kyle candidates and giving them one payment which will always be less than they need. This will make them work harder, see? It's a bit like taking the armbands away from someone who's having trouble swimming. It's the only way they learn. Meanwhile we're going to continue giving all the help we can to the sharks, killer whales and sucker-uppers, because they're not as morally repugnant as poor people or Jimmy Carr. And while we wait for the shirkers to start slaving away at jobs that don't exist in industries which are struggling in order to avoid a benefit that is paid only online and puts money direct into the hands of tenants rather than their landlords leading to inevitable arrears, evictions and homelessness we'll all have to pay to sort out, we're going to pick on some rich people. Not just any rich people. Granny. The old bat's rolling in it, you know. She bought that house for sixpence a hundred years ago and now it's worth a million. She worked from the age of 16 and paid her taxes, has a lower pension because she raised her children herself rather than paying for a nanny, and scrimped and saved for years so that now she has no income she is still able to pay her council tax, the rising fuel bills, and for a small car to tootle down to the shops in. Grandad even still works! She lived through rationing once, she can do it again. So we'll have her bus pass, her TV licence, her winter fuel allowance, and once we've got that we'll probably start on her prescriptions, her dental treatment, and her B&Q discount card too. One day, we'll want her pension. Never mind that grannies have not, as yet, sparked a financial crisis. Never mind that sensible shoes, cardigans and always-having-a-mint-in-your-pocket haven't escalated the national debt to £1.1trillion. No, grannies are next on the list and we're going to squeeze them until they squeal. There is not, of course, a system by which granny can pay any of these things back to the state. But if we say often enough how awful they are for taking it, they'll all go for assisted suicide and the sharks can move into their mortgage-free houses. 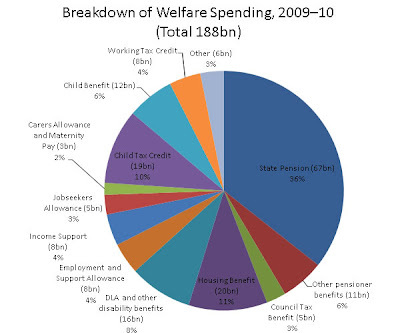 But it strikes me that 'benefit' is the wrong word for the things we pay to grannies, the sick, the ill, and parents. Benefits are something whereby you gain; they are cash in your pocket; they are pennies from heaven. Child benefit is £13 to £20 a week, which doesn't even approach the cost of having one. Shoes, nappies, school books, food, hot water for all those baths, constantly replacing the football - anyone who can do that on £13 to £20 a week should be working in the Treasury rather than the accountants. Housing benefit does not, at present, go into the pockets of anyone but the landlords who by definition own at least two houses, if not more. Free TV licences for the over-75s simply means they stop paying for something they can no longer hear or see, which seems fair enough even if their senses do become mysteriously pin-sharp when Strictly Come Dancing is on. Benefits, it seems to me, generally make you a target for having them taken away and for being blamed as the cause of an entire nation's financial woes. It doesn't appear particularly beneficial. Getting the revenue to let you off your tax bill is, on the other hand, definitely a benefit. Avoiding jail is always advantageous and having an accountant who helped write the tax law never, ever hurts. It's the rich gits who've got all the benefits. It's the corporations, the millionaires and billionaires, who get richer without even trying. Money just drops out of the sky and into their pockets even if they don't want it to, like Lord Sugar trying to pay back his winter fuel allowance and being told he couldn't. They can't help themselves - wealth is sticky, while poverty repels. But that said, there is a sector of society where the benefits seem to be greater than everywhere else. Where they get eight holidays a year, free houses, free food, free furniture, their council tax paid, their fuel bills not just subsidised with an allowance but settled in full, free travel, free cleaners, free gardening, where even if you're sacked for being rubbish you still get a pay-off and resettlement costs and pensions which are rock-solid final salary numbers. They don't even have to work if they don't want to. Some of them don't even need to pass an interview. I've tried very hard and I can't think of another job where someone else automatically pays to redecorate your house and fix up the tennis court. And these people are the ones who got us a trillion-pound debt. These are the ones who didn't order any criminal investigations of bankers. These are the ones who cry havoc at journalists while cosying up to tax avoiders, who steal a few pennies from the poor while throwing away billions in tax revenue to keep the rich happy, and who skank us for £164million a year for the privilege. The benefits system is inarguably a mess, private landlords are charging too much for rent which the state is having to pay, and not every granny needs a bus pass. There are sensible ways of sorting all those things out, and IBS has ignored all of them in favour of talking out of his backside while living in a free mansion on an income of £1,600 a week after tax. Benefits might well be bringing our nation to its knees, but it's the sort he doesn't like to talk about. 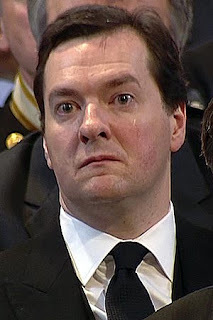 When everyone of pensionable age in Parliament has paid back their winter fuel allowance, turned down their TV licence, and they've all rejected offers of housing help and computed the fact they have more benefits per head than anyone else in the country then, and only then, should they go after everyone else's. Failing that, they can take their £5.7million 'hardship fund' for former MPs fallen on hard times and donate it to charity in the way they think granny should with her winter fuel payment. Hardship? I'd love to see them try it.